Saturday's presidential primary is projected to loom large in determining the outcome of the November election, especially for Republicans. South Carolina's Republican influence adds a significant boost to their candidates. Although the state brims with Republican ideals, political leaders from both parties are prepared to endorse the most qualified candidate for their state. Lindsey Graham, South Carolina's senior Republican senator, has served since 2005. Last year, Graham joined the 2016 presidential race until he dropped out in December due to low funding. Graham has since then been an active supporter of candidate Jeb Bush. Bush is the older brother of former President George W. Bush, and former two-term governor of Florida. Aside from endorsing Bush, Graham also travels alongside him to ensure the success of his campaign. Although Graham is an advocate for Bush, Trump currently leads comfortably according to South Carolina's polls of Republican candidates. Graham and Trump's relationship is far from friendly. The two political leaders have been significantly public with their dislike for one another. Despite Graham's withdrawal from the race, Graham believes that he or Bush are far more equipped to take on the role as president. Graham, a career Air Force veteran and reservist, told Yahoo News: "To The Donald – it's not about you, it's about those who serve. And I would do everything I can to make sure you're never their Commander in Chief, 'cause you're not worthy of that title." On the other side, South Carolina Democratic leader, U.S. Rep. James Clyburn, is actively searching for a well-equipped candidate to represent African-Americans and minorities. Clyburn is from Sumter, South Carolina and is a leadership liaison to the House Appropriations Committee. In addition to serving as a Democratic chair to the White House, Clyburn represents the 6th Congressional District of South Carolina. Clyburn has coined this district as the "Corridor of Shame" since poverty has overwhelmed his constituents. Recognizing this concern, Clyburn has made it his goal to select a proper candidate to represent the Democratic Party. Clyburn said plans to endorse former secretary of state and U.S. Senator from New York Hillary Clinton for president. Congressional Black Caucus, along with Clyburn, believe Clinton could tackle poverty and address the issues that concern most African-Americans. Clyburn's team told ABC News: "Clinton is best positioned to better African-American lives." After consulting with his family, Clyburn plans to officially announce his endorsement for Clinton. U.S. Sen. Tim Scott, South Carolina's junior member and lone black Republican in the upper chamber, has maintained a low profile; a CNN report called Scott a "reluctant kingmaker." However, this week, he endorsed candidate U.S. Sen. Marco Rubio, R-Fla. The trio of political leaders have selected candidates they believe will win their parties' respective nominations. 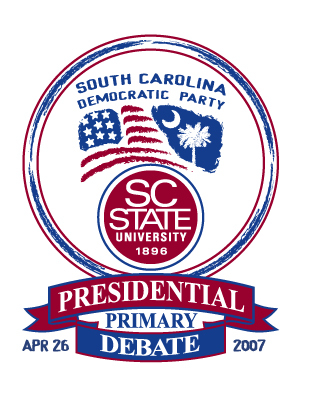 The South Carolina Republican Primary will be held on Saturday and the Democratic Primary will be held on Saturday, Feb. 27. ESPN cameramen tiptoed into class right behind student Darrel Kidd. Students quickly turned their attention to the large lenses and boom mics. With class ongoing, the professor attempted to continue class until one curious student asked, "What's going on?" Little did she know, these cameramen were documenting history. Darrell Kidd of Hampton University is a player on the only Division I men's lacrosse program at a HBCU [Historically Black College or University]. The team will officially take the field for the first time this at 12:30 p.m. Saturday against Roberts Wesleyan College. 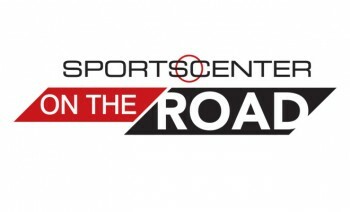 The event will be broadcasted on ESPN's "Sports Center on the Road." Kidd is to be profiled in "All Access" segments between 10 a.m. and noon. The Pirates' lacrosse program began as a club team initiated by former student Michael Crawford in 2010. 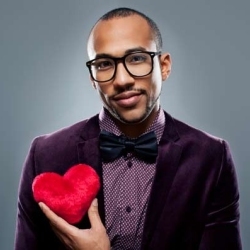 Before Crawford could see the outcome of his efforts, he died in his family's home due to issues with an enlarged heart. After the death, Crawford's parents persistently sought to continue Mike's lacrosse legacy at Hampton. According to Head Coach Lloyd Carter, the couple contacted him and asked about the steps they needed to take in order to see their son's vision through. Crawford replied saying, "I think God told you to call me." 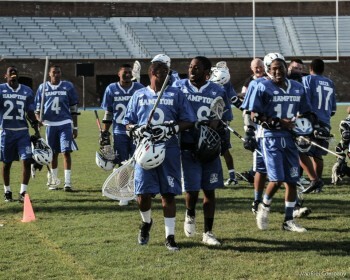 After receiving the call, the Baltimore resident began making weekly trips to Hampton University to assist with the lacrosse club. Carter's sacrifice wasn't taken for granted. Though the program was a club, players were just as committed as players on varsity teams. "I took the club team very seriously because Coach Carter took time out of his schedule to coach us for no pay," said Kidd, the captain. "I saw it as disrespect if I didn't show up to practices." Last spring, Hampton U. hosted Lacrosse Day and club teams from Morgan State University, University of Maryland-Eastern Shore and Morehouse College competed. After about a year and a half of Carter's weekly commutes from Maryland, Hampton University President William R. Harvey and Athletic Director Eugene Marshall, Jr. declared the club a NCAA varsity team. Carter played varsity lacrosse at Morgan State, the previous NCAA varsity program at an HBCU, that existed from 1970-1981, reported the Baltimore Sun. With the NCAA membership came many changes. Kidd of Westchester, New York said, "Everything seemed like it got much more serious." According to Kidd, a senior, the transition meant various NCAA meetings, paperwork, and clearing house registration. While Kidd believed that the administrative process was the hardest, Carter spoke about the physical transition. "We are playing at a much higher competition level now and because of that we really have to focus on the fundamentals," said Carter. "And we were prepared for the challenge." As the Pirates take on the challenge of becoming a NCAA team, the team hopes to take their influence beyond the university. The team has conducted camps at local schools in order to expose the sport to young African-Americans. "We hope to expose the sports and give [students] other opportunities for higher learning," said Carter. With the season officially kicking off this weekend, the cameras will turn their attention to the field as the Pirate's first NCAA season begins. Forty-eight hours before the big game Saturday against Roberts Wesleyan College, the Hampton University men's lacrosse team practiced indoors at the Student Center. The buzz around campus was sparked by the highlight of senior Darrel "DJ" Kidd. Just one week before, ESPN went behind the scenes to get a deeper look at the Hampton men's lacrosse captain and his life. Walking up to the third floor of the Student Center the sun shined through the windows and cast light on the history that was just hours away from being made. Slowly but surely the team members made their way up the stairs and greeted each other like old friends back from a long vacation. 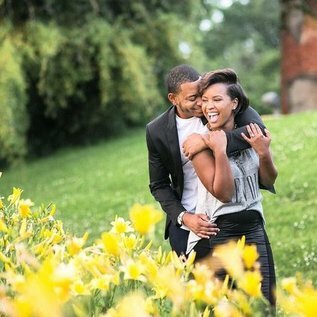 DJ wouldn't have guessed that a suggestion from a friend in high school would lead to a love and passion that would bring him to this point. Not knowing what the future would hold heading to Hampton U. in the fall of 2012, throwing his lacrosse stick in the car gave him a bond that is about to hit televisions across the country. It wasn't an easy road to take this club sport and make a group of guys a Division I NCAA varsity team. "It hasn't been easy," said the bundled-up captain from Westchester, New York. "It's been a lot of late nights and early mornings, and it can be overwhelming at times with the media, but it's been a great experience. I'm grateful." Kidd's calm and humble demeanor draws you in. You can feel his passion that forces you to want to support the team. As the rest of the players file in, the elevators open to a strong voice gathering the young men. The coach has arrived. Immediately the guys fall into place as the captains lead the stretches and old school-music plays across the room. In passing, one would not guess the men's Lacrosse team was preparing for a nationally televised game, as the sultry tunes of Otis Redding's "Try a Little Tenderness" accentuates the mood. It doesn't feel at all like practice, the usual dread of running and going through drills. There's a family reunion feel that breaks the barriers of strangers, brought together by a common love for a gentlemen's sport. With the smooth old-school jams and good laughs, the only thing missing is a spread of good food. "Some people on campus have been really receptive and excited," said Kidd. "I've gotten a lot of good luck texts over the last few days. Some people still don't know we have a team, but after ESPN came and shot 100 days [senior's countdown to May graduation] it definitely helped." DJ is very aware of his opponents and the leg up they may have with their cohesiveness and years of competition at the collegiate level, but the senior captain said he is not worried. The Pirates' bond can be contributed attributed to their Sunday team dinners, and their confidence in what they do well. Kidd's role as captain is to keep the guys humble and grounded. 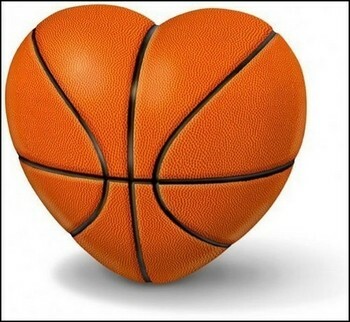 They are skillful players with a heart to work hard and win. When the Roberts Wesleyan Redhawks cross over into Pirate Nation, it will be their team versus this family. HAMPTON, Virginia – The Super Bowl is an American culture holiday. When the game approaches, football fans over prepare by making reservations at restaurants that broadcast the game such as Dave and Busters or Buffalo Wild Wings, or ordering lump sums of foods from places like Farm Fresh, Subway or Jason's Deli so they can have guests over to share this moment. But whatever way people choose to celebrate, this game in particular is always a big deal. Shannon Scott, a fourth-year Hampton University student in the 5-year MBA program from Philadelphia, and his roommate Tyrin Ellington, also a fourth-year in the 5-year MBA program from West Bloomfield, Michigan, decided to have their own Super Bowl party at their apartment. For their guests, they had multiple flavored wings, pizza, beer, and Hawaiian Punch. Most of the people attending this party in particular were Carolina Panthers fans. "I'm going for the Panthers tonight," said Jibri Ward, a senior graphic design major, computer science minor from Houston. "I've always liked the [Denver] Broncos and Peyton Manning. I think he's a great quarterback, but I'm rooting for Cam Newton to win this one." One of the most memorable game moments for this crowd was when Jordan Norwood, the wide-receiver for the Denver Broncos, caught the ball and took it down the field 61 yards, making it the longest punt return in Super Bowl history. "It was very impressive," said Arriana Mclymore, a journalism major from Raleigh, North Carolina. "I don't think I've ever seen anything like that before." With Super Bowl 50 approaching Sunday, many people are gearing up to throw watch parties and get-togethers to see the big event with their friends. Many details go into throwing such an event like this: Where will the party be, how big is the television screen, and most importantly, what kind of food will you be serving? Many people choose to simply prepare food for their parties. Charles Cephas, a Hampton University senior computer science major from Baltimore, said "I tend to watch the Super Bowl at my apartment with my friends. 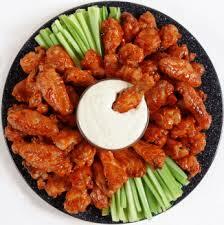 We usually make food like wings and fries to eat during the game." For bigger parties, you're going to obviously need more food. Places like Wing Zone, Hooters, Subway, and Buffalo Wild Wings offer catering services where you can order large amounts of food for as low as $50. At Subway, that amount serves 10 to 12 people, according to the "Grab a 3-foot giant sub and watch the big game with friends" promotion. Buffalo Wild Wings advertised 80 chicken wings for $67.99 that could feed 16 to 20 people, and the Wing Zone offer was 100 pieces for $74.99 to feed 10 to 15 people. You also have the choice of going to the restaurants to watch the game. "I'm really a big fan of football, and I love going into Buffalo Wild Wings during sports events. The atmosphere is crazy and the food is so good," said Kennedi Riley, a junior kinesiology major from Baltimore. "Their wings and service are truly the best." If you have nowhere to watch the game on campus, Hampton University's Student Government Association will be holding a Super Bowl party in the Student Center Ballroom at 6 p.m. There will be food and refreshments provided. 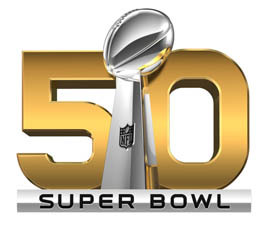 The Carolina Panthers and the Denver Broncos will be playing each other during the Super Bowl 50 on February 7 at 6:30 p.m. at the Levi's Stadium in California on CBS. As I looked through archives from Hampton University's museum, there is a whole box just for artist Viktor Lowenfeld: All of this books, a few artwork pieces, and also articles that he contributed to specific art journals. "The Nature of Creative Activity" by Lowenfeld was one of his well-known books. The book talks about experimental, comparative studies of visual and non-visual sources of drawing, painting and sculpting. What is so fascinating about this book is when looking through the types of topics; they were unique to its own discussion; such as looking at blind objects, different cultures, expression, attitudes, space and physical weak elements. It shows that Lowenfeld was a creative, visual thinker. He saw things and people that were different, not just unique but beautiful. People who did not have a voice could speak through their art. "The Hampton Years," directed by Chris Hanna and written by Jacqueline E. Lawton, tells the story of artist Lowenfeld and his relationship with his art students at Hampton Institute. There was a connection between Lowenfield and his students and how being a Jewish refugee in World War II can impact another person's life such as students being a minority in the South. The students are able to connect with Lowenfeld through art. Some of his students included John Biggers and Samella Lewis, who was also mentored by notable artist Elizabeth Catlett. In a statement by Lawton on her website, she talks about what fuels her passion in theater. "Theater that is magic," she said. "That provokes and pushes boundaries. That poses questions. That reflects the human condition. I'm inspired to write about history, paintings, music, heartbreak, hope, memory, negligence, and injustice as it relates socially, politically, and historically to who I am as an African-American woman." What makes this play unique is that it talks about the hard lessons that African Americans had to learn, while living in the South during the 1930s and 1940s. The reality was that Hampton Normal and Agriculture as it was once called did not believe in the values of art. However, Lowenfeld saw art as a complex psychological statement. It was intricate and even related to the healthiness of the mind. Lowenfeld created the foundation for art to become a department at Hampton because African-Americans did not have freedom of expression. He wanted the students to express themselves because it helped them to establish cultural identity and a healthy well-being. In the book "Five Decades" by John Biggers about the Hampton art tradition, Lowenfeld mentioned in the book that, "art has been frequently expressed to imitate "superior" white group- one inhibiting factor of genuine art." He challenged his students to think outside of normal capacities and to draw, paint, sculpt truly how they felt. For instance, Samella Lewis created a piece called "Field." When looking at the woodcut artwork, the lines on the man and creation of the field depict the harshness of the work and the shape of the sun created in circles shows endless work that slaves had to do in the hot sun. This artwork is a true expression. Lowenfeld taught his students to create realness and that was one of many things genuine for African Americans. In a past interview with the New York Times, Sanders explained her artwork. She said, "I needed a voice and they needed a voice. I had things to say about the social situation at that time. There was a hurt inside of me that I could not get rid of unless I understood it a little better." This play is a must see for all artwork lovers and students that are art majors. It gives you a sense of history into how art became a part of many people's lives, particularly African-Americans. The birth of art and embracing its value to Hampton is credited to Viktor Lowenfeld. He had faith in his students that they could be great and there words could be heard through lines, paint, sculpture, color and many other art mediums. "The Hampton Years" by The Virginia Stage Company at Wells Theatre in Norfolk, Virginia is running until Sunday. Feb. 7. A production presented by the Virginia Theater Company titled "The Hampton Years" proves that the Hampton Institute students once flocked to in the early 1940s has evolved immensely, and its legacy continues to grow. Written by Jacqueline Lawton, the play is about the institution's African-American students and a Jewish professor named Viktor Lowenfield, a prominent artist and psychologist. After a Nazi invasion in 1938, Lowenfield fled his native land of Austria and pursued a teaching career at what is now known as Hampton University. His meaningful contributions led the school through a transformation that shifted the focus on curriculum from trade and manual labor towards liberal arts. This resulted with a more diversified curriculum and the students' significant impact in modern art history. Lawton's production was originally shown in Washington, D.C. three years ago but has been refined to offer deeper insight into the motivations of its characters. "The Hampton Years" now proves that art served a major purpose in the lives of these students who were illustrating their world during a time of much social change. Lawton says that certain ideas within the play still resonate today. One of the main themes is promoting diversity in art and providing African Americans a platform to express themselves and to showcase their work. The characters include students like John Biggers and Samella Sanders Lewis who later became internationally known artists, and Lowenfeld, who essentially founded the art department at Hampton. "He chose Hampton because he could build something," Lawton says. "He taught students how to be artists, how to be teachers. He started doing the research for his seminal work while there." But the innovations at Hampton have not come an end. Alumnus Gloria Pressley, a South Carolina native who arrived at Hampton not long after Lowenfeld, says the instructors that graced the campus decades ago made it a mission to enhance their students' lives in every way possible. "The faculty is still very dedicated to the lives of their students," she said. "And we are still growing in lots of areas." Hampton University's School of Liberal Arts is the largest school in the university with approximately 1,100 majors across the disciplines. The school is comprised of the Division of Arts and Humanities, which includes the departments of English, Fine & Performing Arts, Modern Foreign Languages, Music, and the program in Humanities, and the Division of Social and Behavioral Sciences. This includes the departments of Military Science, Political Science & History, Psychology, and Sociology. The latter department also includes a major in Criminal Justice and Criminology. A Hampton resident, Pressley was recognized Sunday with a Presidential Citizenship Award at Hampton's 2016 Founder's Day Event. She was a 1956 Hampton graduate. Alumna Patricia Hollingsworth, who similarly attended Hampton in the 1950s, said, "When I was a student, Hampton was more focused on trade school and for women it was all about homemaking. The curriculum has changed to accommodate today's needs. There are courses now that we had never dreamed of." Hampton University said Hollingsworth, epitomizes academic excellence and prepares its students for any career path they may wish to explore. "The Hampton Years" will run through Sunday, Feb. 7.